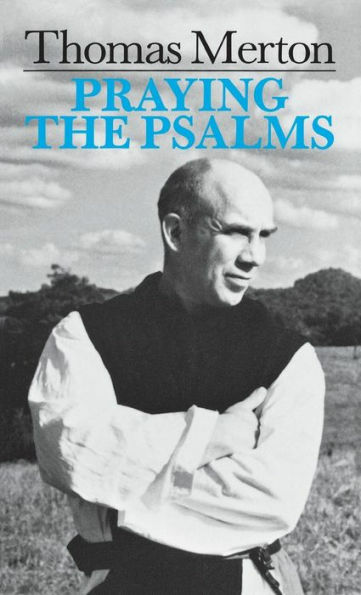 Yesterday was the 49th anniversary of the death of Thomas Merton. Anyone who has taken the time to read his works knows that the Psalms were vitally important to him. Praying them in choir as a monk, as well as on his own, the Psalms helped to form him and his writings. Liturgical Press publishes a short, but very insightful book by Merton on the Psalms called Praying the Psalms. If you haven't read Merton before, it is a great entry point for his writings. Added to the wish list! I've been wanting to read more about the psalms for some time now. Great book. His other one on the psalms is really good too--"Bread in the Wilderness" I think it might be called. Another really good one on the psalms is "Singing in the Reign" by Michael Patrick Barber. Yes, I know it has an awful title. Believe it or not the puns get even worse in the chapter titles. But it is really eye opening about 2nd temple Judaism, the hope for the revived Davidic monarchy, and the surprising way it came about in the person of Jesus. Highly suggested. There is nothing quite like spending time with the psalms. There’s a psalm for every occasion. I started journaling about particular psalms at a Jesuit retreat last year. Just sit quietly, read a psalm, and start free-writing. See where it takes you. Thanks for this. I love my Psalms, and I'm always struck by, despite the fact that we use different translations, Christians are still using the prayer book of Israel and praying the words the Jewish people prayed before God in his temple. I especially love the LOTH, and it's my goal to learn to chant the psalms.